Believed to have some of Spain’s most expensive real estate, it is no surprise that Sotogrande is a popular haunt for the great and the good. 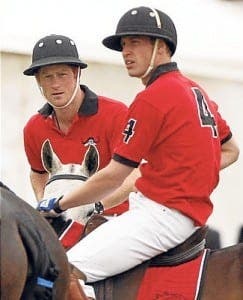 Princes William and Harry are known to enjoy playing polo tournaments in the exclusive enclave, while the likes of Mariah Carey, Antonio Banderas and the Duchess of York are regular visitors. Other notables often spotted in the place which inspired the novel Cocaine Nights include Formula One mogul Eddie Jordan and England footballer Glen Johnson.